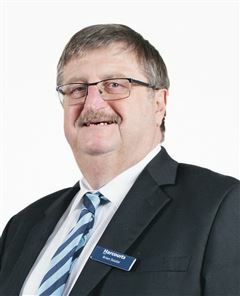 Brian entered the Real Estate Industry in Pakenham during 1986, previously from the banking sector. He was then given the opportunity to start his own company, Brian Soutar Real Estate Pty Ltd in Drouin, which was founded on 29th of February, 1992. Running and growing such a successful small business through the ups and downs over the many years has at times been a challenge, but it is also testament to his character and it is also one of Brian’s proudest personal achievements. In 2010, Brian realised the many advantages of joining the Harcourts International group, but more importantly he also saw that their objectives very much aligned with his own – * People First * Doing the Right Thing * Being Courageous * Fun and Laughter. The union with Harcourts has definitely allowed Brian’s team to offer clients the most up-to-date marketing strategies, technology and training to optimise their real estate outcomes, but at the same time, always put the client first – something he is also very proud of. Brian doesn’t have a lot of spare time, but when he does, he loves nothing more than spending time with family, in particular with his “little friends,” granddaughters Isabella, Ava and Celia. Brian also loves following his beloved Richmond Football Club attending games at the “G” whenever he can.